Atami Taikanso is located high up away from the noise of the city built in a traditional sukiya-style, boasts a large garden and splendid views of the blue sea overlooking Oshima and Hatsushima Island. Hotel Ohnoya's Roman style bath covers an area of 825 m2 and can accommodate up to 300 people at one time. It has other bathing facilities including showers, utaseyu, sauna, cold water bath, spring drinking water fountains, etc. 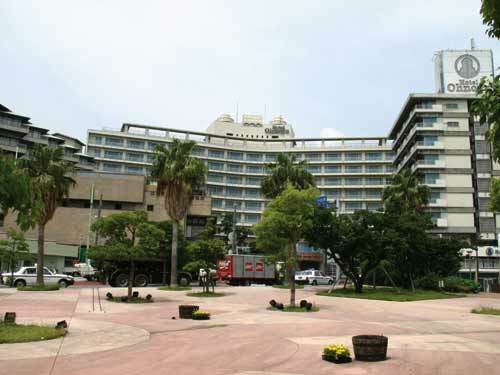 The Atami Korakuen Hotel is located on a beautiful seaside. You will enjoy many fresh seafood specials, wonderful hot springs, amusement parks and wonderful urban hotel life. Geihinkan Atami Koarashitei is loved by the Imperial Family and many novelists from the Meiji era spent time at this tasetful sukiya-style cottage. 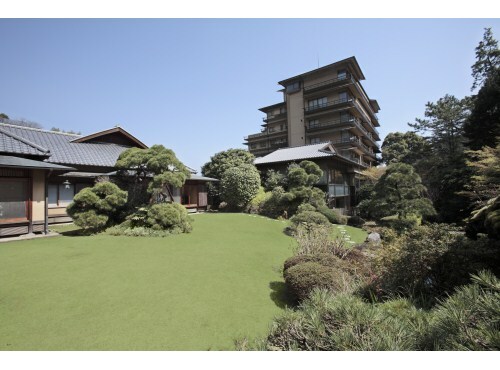 It is located on a beautiful hill with a great view of Sagami Bay. 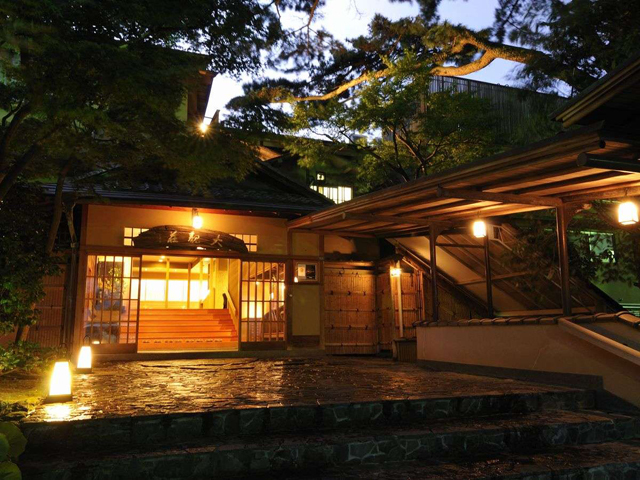 Shinkadoya is a typical Japanese ryokan which has been a lodging business for about 120 years since 1886 offering traditional Japanese hospitality, located at the base of Tenjin Yama Mountain. 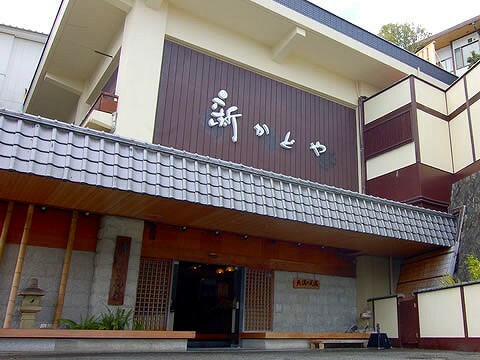 Otsuki Hotel Wafuukan is a peaceful hotel built by in a sukiya style which is where traditional Japanese tea ceremonies are held. Please enjoy to your heart's content the time and space in this authentic Japanese ryokan. 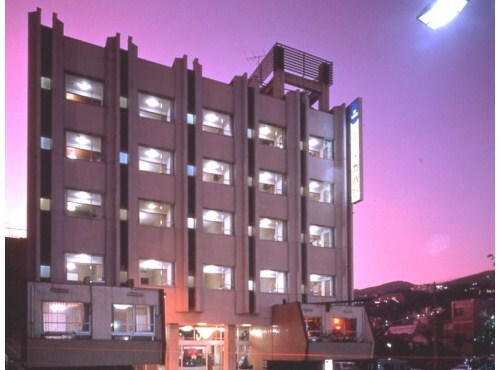 Hotel New Akao is located at the tip of Uomisaki Point in Atami and all rooms are oceanfront. All rooms can see the superb view of Nishikiga-Ura, one of the most scenic spots in Izu and the night view of Atami. Built on a promontory in Nishikigaura, Japan's foremost scenic area, Hotel New Akao Royal Wing affords views of the sea from every room. The room is spacious as 40 square meters and comfortable designed to accommodate the preferences of women. 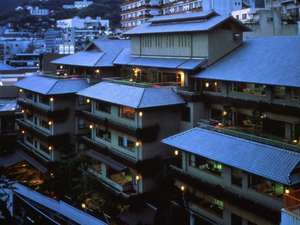 Ryokan Tachibana is a traditional Japanese style hotel located in the middle of Kaigan dori street, Atami City. Please enjoy and relax at the Sukiya-style guest rooms (traditional Japanese wooden style structure) and hot spring bath. 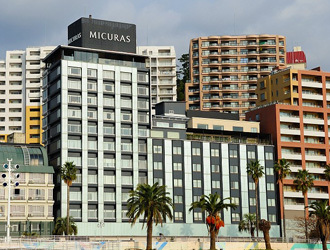 Hotel Micuras is the ideal resort hotel with all guest rooms facing to the ocean and just a short stroll from the sea.With history and tradition of more than 60 years,this hotel has created the new age of tourism in Atami, Japan's leading tourist resort. 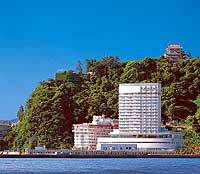 The Atami Tamanoyu Hotel is situated along a coastline where Hatsushima and Atami Port can be seen from the hotel. There are also many other facilities like a social dance hall, gateball court, grand-golf course, billiard room etc. to preoccupy guests. 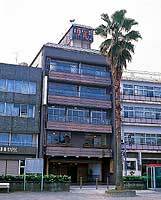 Conveniently located for leisure activities, Hotel New Takahashi is just a 3 minute walk from Atami Harbor and 10 minutes from Sun Beach. Fireworks at Atami in the summer and winter can be seen from the guest rooms. 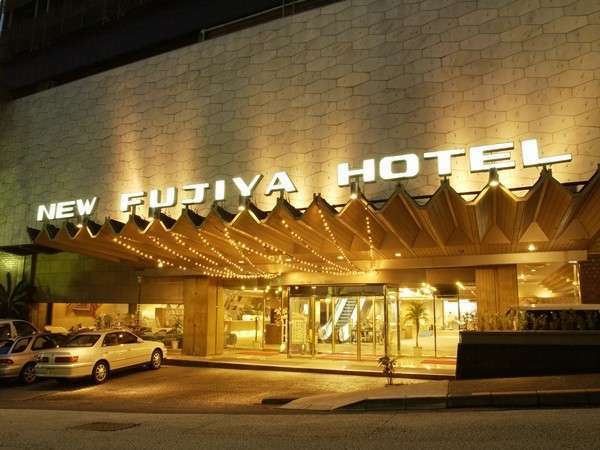 New Fujiya Hotel boasts a good quality, abundant of hot spring water, and the hot spring open-air bath and main bath are very popular. 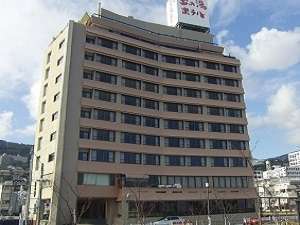 The hotel is equipped with both Japanese and Western facilities and offers warm hospitality. Atami Kinjokan is located in a quiet spot in the center of Atami City. From the entrance, guests can see a large garden wrapped by three buildings showing the color of the four seasons. Please enjoy and relax at the main bath and open-air bath. 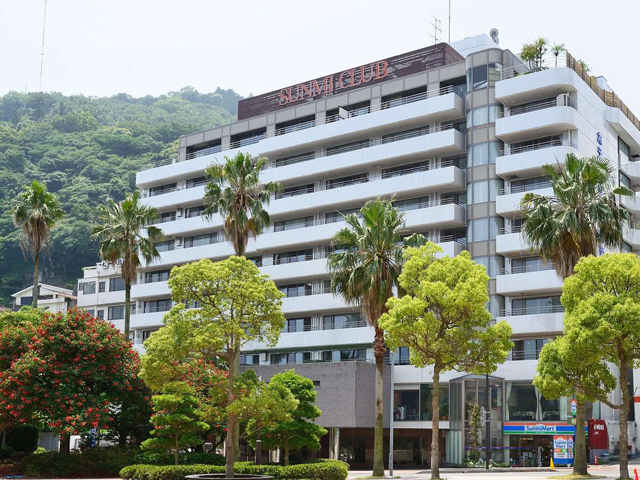 Hotel Sunmi Club faces Sagami Bay and all rooms boast ocean views. 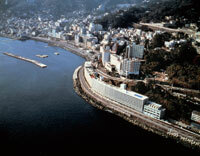 Guests can enjoy both the sunrise and the stunning "million-dollar" night view of Atami from the spacious rooms. Dinner is served using fresh seafood from Izu. 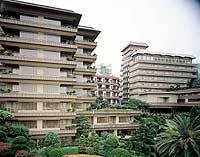 Hotel Resorpia Atami is located along Atami Beach line and 10 minutes walk from JR Atami Station. Every room faces to the ocean and commanding Sagami Bay, Hatsushima, and Izu-Oshima on a clear day. It is a perfect view of the sunrise in the morning. 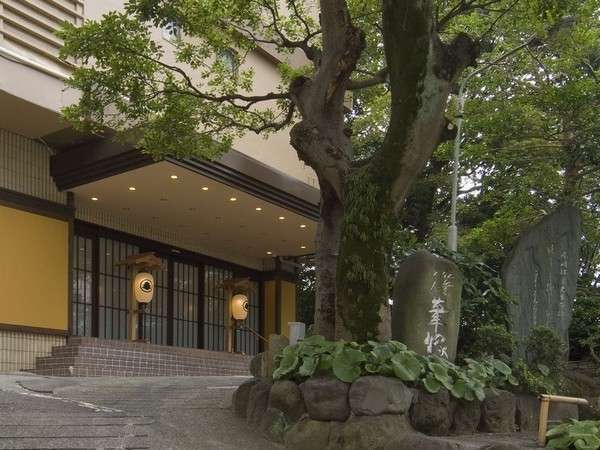 This ryokan is a modern Japanese hotel located two minutes walk from JR Atami Station. Please enjoy two types of open-air bath and private bath.